Washington and Lee University Presents Che Malambo Che Malambo comes to the Keller stage for a one-night performance on April 26. 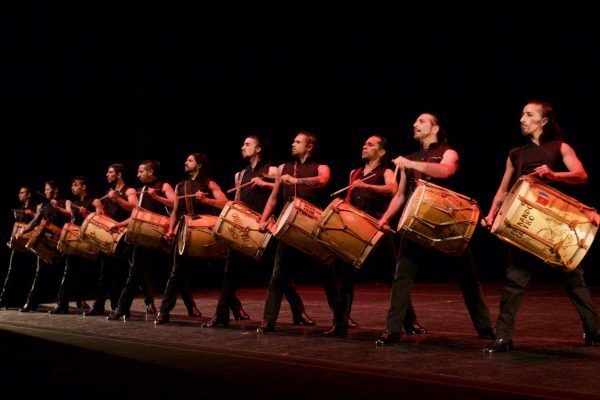 Che Malambo, performers from Argentina, in joint collaboration with Washington and Lee University’s Lenfest Center and the Concert Guild, comes to the Keller stage for a one-night performance on April 26, at 7:30 p.m. Praised for its exhilarating choreography and dynamic blend of precision footwork, rhythmic stomping, drumming and song, Che Malambo brings to the stage an inspiring performance of fiery South American virtuosic dancing and authentic traditional Malambo celebrating the unique South American cowboy tradition of the gaucho. Originating in the 17th century as a rhythmic competition of agility, strength and speed, Malambo has evolved into an art form of zapeteo (fast-paced footwork), rhythmic stomping and amazing music. In addition to zapateo, Malambo features the drumming of traditional Argentine bombos and whirling boleadoras, a throwing weapon made of intertwined cords and weighted with stones used as a hunting weapon to capture cattle or game by entangling their legs or wings. Che Malambo has toured around the world with its latest production created by renowned French ballet dancer Gilles Brinas. He has received awards from the Bagnolet competition and the Charles Oulmont Foundation and directs his skills to choreograph 14 powerful men. Che Malambo is also sponsored in part by the W&L Class of ’64 Performing Arts Fund. Order your tickets online at wlu.edu/lenfest-center or call the Lenfest box office at 540-458-8000 for ticket information. Box office hours are Monday – Friday, 9-11 a.m. and 1-3 p.m. and will be open one hour prior to performance time.